Abraham Joshua Heschel (1907-1972) was one of the most celebrated and original Jewish thinkers of the twentieth century. Though renowned in his day as a theologian and philosopher, Heschel is also celebrated today for his tireless activism against the war in Vietnam and his work for civil rights with Dr. Martin Luther King Jr. He is the author of numerous spiritual classics, including: The Prophets, The Sabbath, Man is Not Alone, God in Search of Man, and The Earth is the Lord’s. Zalman M. Schachter-Shalomi (b. 1924) is the father of the widely influential Jewish renewal movement and one of the most important spiritual leaders in the world today. 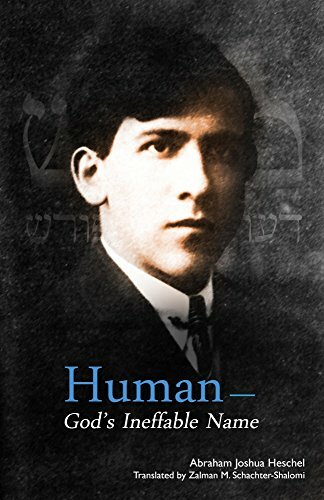 He is the author of such acclaimed works as Jewish with Feeling, Spiritual Intimacy, and two authoritative works on Hasidism, A Heart Afire and A Hidden Light.